The Pryor Library holds a Toddler Storytime every Wednesday at 10:30 am. Stories help develop a child’s imagination and encourage a love of reading. Stories help nurture a child’s listening abilities and expand their vocabulary. Stories help children understand the world around them. Stories and fingerplays introduce and reinforce concepts such as colors, shapes, and letters. 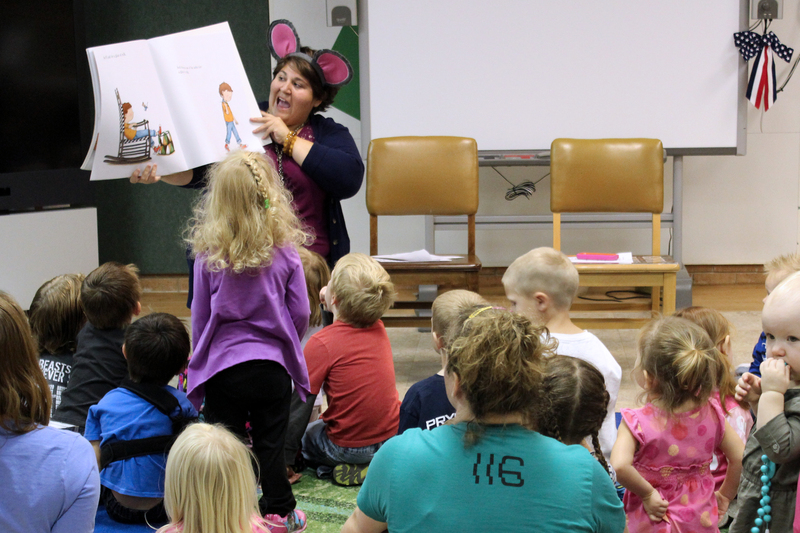 Storytime introduces new authors and illustrators to families in a fun way. Songs allow children the opportunity to get up and move. Crafts and fingerplays help develop a child’s motor skills. Fingerplays and songs help children socialize with one another. They are a way of doing something “separately together”. Come join us – we’d love to have you!